Size of this preview: 482 × 600 pixels. Other resolutions: 193 × 240 pixels | 548 × 682 pixels. Description: Arnold Palmer enlisted in the United States Coast Guard in 1950 as a Yeoman and continued to serve until 1953. 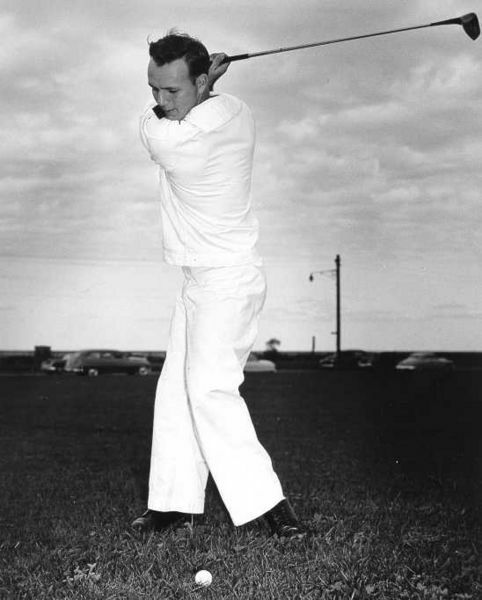 Though a Yeoman, Palmer participated in many matches as the Coast Guard allowed him to continue to play golf. Here, he is playing in the 1953 North and South Amateur Golf Championship held at Pinehurst Country Club, Pinehurst, N.C. This page was last modified on 20 April 2017, at 21:03.